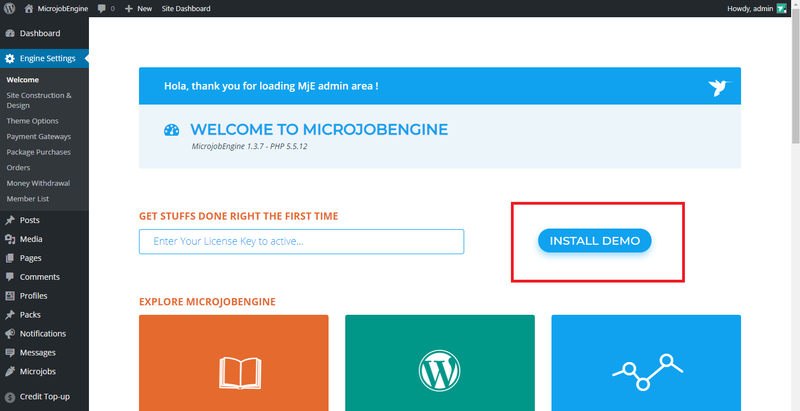 Once you have activated your theme, you will be redirected to the MicrojobEngine Welcome Page to install your sample data. 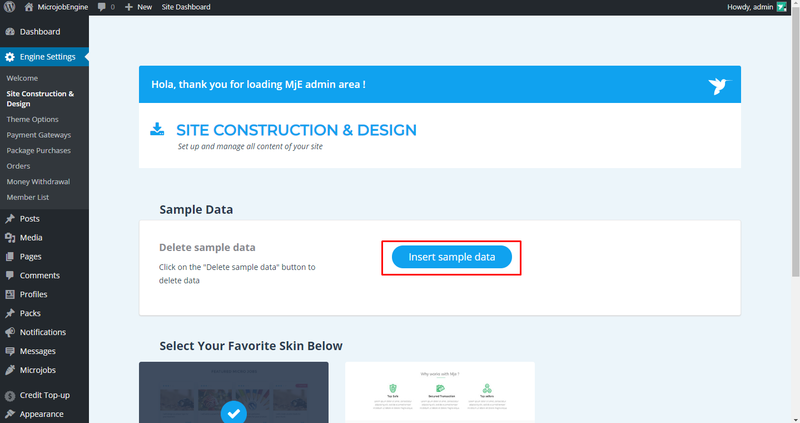 It’s totally simple to import your data by clicking on the “Install demo” button on the welcome page. A new tab is opened redirecting you to the install demo page. Click on the “Insert sample data” button to dig into default mJobs, profiles, mJob categories, menus, widgets, pages, etc. Site introduction (Back-end: Engine Settings → Settings → About settings). You can use this block to make some basic introduction about your site. This section appears near the site footer. Footer (Back-end: Appearance → Widgets). For more details, please see section 5.7.2 Widgets. All these blocks are the default ones so you can only change the content, you can’t replace them with other blocks. 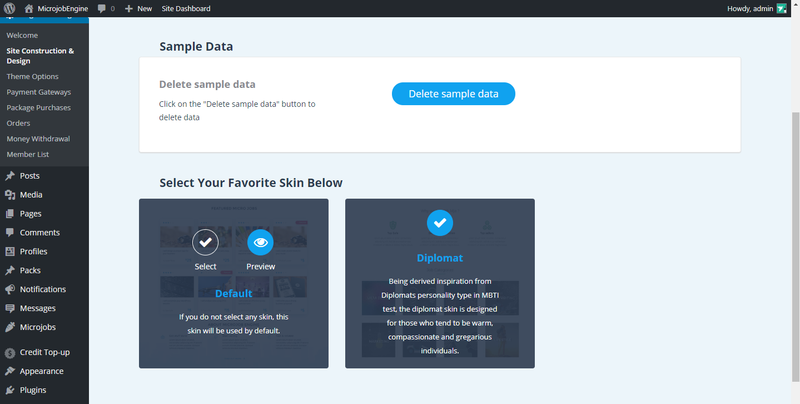 In the “Select Your Favorite Skin Below” section, simply hover your mouse over the Default or Diplomat skin and click “Select” as the image below, or “Preview” to take the first look.